GRC Annual Meeting & GEA Expo: Reserve Your Hotel Room Now! Reservations can now be made for hotel rooms for the 40th Geothermal Resources Council (GRC) Annual Meeting & Geothermal Energy Association (GEA) Expo, being held in Sacramento, California, USA, October 23 – 26, 2016. All the events and accommodation are in one central location, at the Sacramento Convention Center and neighboring Sheraton Grand and Hyatt Regency hotels. The GRC has contracted with the Sheraton Grand and Hyatt Regency for a discounted block of rooms. At both hotels there is a choice of rooms with either two double beds or a king bed starting at $145 a night excluding taxes and fees. The discount ends September 28. Attendees can make their reservations on secure websites prepared specially for the GRC and GEA. The links are available from the GRC Annual Meeting website at: www.geothermal.org/meet-new.html. 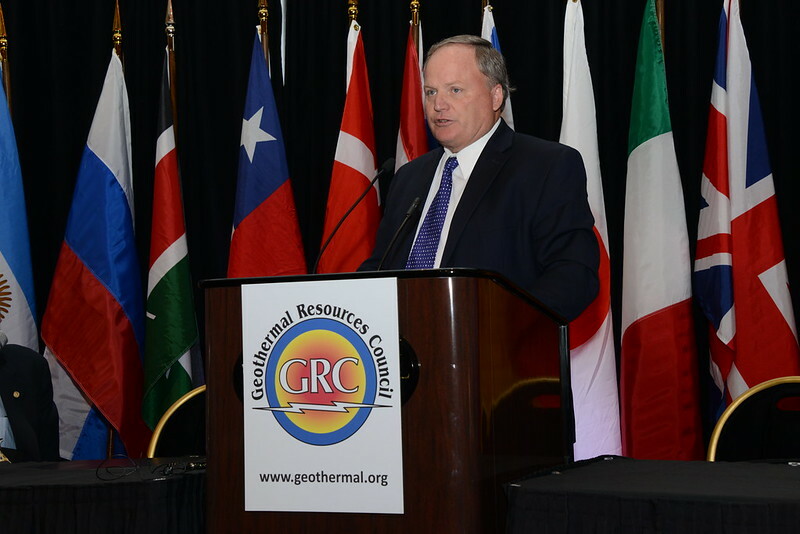 The GRC Annual Meeting & GEA Geothermal Energy Expo is the industry’s largest annual gathering of leading geothermal energy scientists, producers, renewable energy industry stakeholders, regulators, utilities, and key associated business leaders. The four-day event will offer technical, policy, and market conference sessions, educational seminars, tours of local geothermal and renewable energy projects, trade show and numerous networking opportunities. Government wants to develop 1,000 MWe Geothermal by 2030. Considering the anticipated enormous energy demand in India, it is important to look beyond traditional sources of energy and other widely-discussed sources of renewable energy. India must look at off-grid solutions and geothermal energy also. The Union Ministry of New and Renewable Energy has assessed the potential of generating 10,600 MW of heat and electricity from 340 hot springs spread across seven geothermal provinces in 11 states. In order to incentivize investment in the sector, the government has recently released the Draft National Policy on Geo-Thermal Energy which seeks to put in place various support measures for projects in the geo-thermal energy sector including providing land on lease for these projects, providing 100 % Foreign Direct Investment in the renewable energy sector and soft loans at concessional interest rates for supporting exploration activities. Geothermal energy is crucial for India's energy security. Similarly, off-grid solutions must be looked at to supply power especially to those living in areas distant from existing transmission lines or in areas with lower population density. The government of India wants to deploy 1,000 MW (thermal) and 20 MW (electricity) geothermal energy capacity in the initial phase till 2022, and 10,000 MW (thermal) & 1000 MW (electricity) by 2030. In three of the four envisaged scenarios geothermal energy would provide 2.7 GW of electricity. A fully renewable energy system is achievable and economically viable in Russia and Central Asia in 2030. Researchers from Lappeenranta University of Technology (LUT) in Finland modeled a renewable energy system for Russia and Central Asia. Results show that renewable energy is the cheapest option for the continent and can make Russia a very energy competitive region in the future. According to the research, a 100 percent renewable energy system for Russia and Central Asia would be roughly 50 percent lower in cost than a system based on latest European nuclear technology or carbon capture and storage. Renewable energy covers electricity and industrial natural gas demand, not, for example, transport or heating. Someday, geothermal power plants could play a major role in funding Salton Sea restoration. But that day — should it ever come — won't be anytime soon. And it'll probably be less lucrative than Salton Sea advocates hope. Those are the key takeaways from a new report by the National Renewable Energy Laboratory, a widely respected, federally funded lab in Colorado. Researchers found that energy development could generate up to $1.5 billion to help save California's largest lake — far less than previous estimates. The vast majority of that money would depend on technological breakthroughs or political changes. Industry officials also say the National Renewable Energy Laboratory overestimated the cost of building a new geothermal plant. If that's the case, it's possible developers could pay a small Salton Sea restoration fee, despite what NREL says. Toronto-based Polaris Infrastructure Inc. provides the following update on the San Jacinto drilling campaign. Polaris Energy Nicaragua, S.A., recently completed drilling well SJ6-3, the first of three new production wells for the San Jacinto project. Preliminary measurements of temperature and drilling fluid losses suggest a moderately productive well, though at this early stage we are unable to measure steam flows. The new well will require a 30 to 60 day heating-up period during which valuable temperature data will be collected, after which we will have thermal recovery and move to production testing. With additional measurements available to us, we will have a more granular view with respect to production capability and anticipated megawatt contribution. We will also be in position at that time to provide an update with respect to the process of connecting SJ6-3 with the San Jacinto power plant. EGP’s geothermal power in Italy reached the all-time daily production record on 16 December of 16.9 GWh, with fully operating turbines. This record that confirms a ‘tradition’ established in Enel Green Power’s Tuscan geothermal operations, which normally welcome the new year by delivering the unprecedented numbers of the previous one. As in 2014, when EGP’s geothermal power heralded in 2015 with a production record - which was then annual – of 5,548 GWh. And now the tradition is repeated once more for the beginning of 2016. As executives work to improve the perception of geothermal in the energy industry, service providers are finding ways to decrease the up front cost of developing the resource. McGinley is executive of regulatory and legislative strategy at NV Energy. Speaking at the Geothermal Resources Council 39th Annual Meeting in Reno, Nev., in September, McGinley explained that in the request for proposal (RFP) process for utilities, low cost, while not the only driver, is the primary driver. “When you’re signing contracts at 3.8 cents and 4 cents a kilowatt-hour, it’s tough to beat that,” he said. NV Energy’s most recent RFP went entirely to solar. Utility-scale solar project owners are regularly securing power purchase agreements at 5 cents per kWh or less, according to Lawrence Berkeley National Laboratory’s recent report “Utility-Scale Solar 2014.” Whereas the cost for geothermal power can be anywhere from 5 cents per kWh to 8 cents per kWh. The good news for geothermal, according to McGinley, is that large power customers are eager for renewables, and they do not want it all in solar or wind — they want a balanced clean energy portfolio, including geothermal. Those big consumers, however, have a limit on how much they will pay for that energy. POWER Engineers, Inc., headquartered in Hailey, Idaho, recently completed a feasibility study for the construction of a 16 MW geothermal power plant by Turcas BM Kuyucak Geothermal Power Inc. (TBK), a Turkish joint venture owned primarily by BM Holding and Turcas Energy Holding. After confirming both the technical and financial viability of the new facility, POWER Engineers, Inc. submitted their findings to TBK, which is in the process of securing financing for the project. Once it is up and running, this modern facility, located near the town of Pamukören, Turkey, will be capable of efficiently generating electricity from geothermal energy sources, an increasingly important component of Turkey’s electricity portfolio. The procurement process for the geothermal plant will begin in January 2016, with tenders to be released between January and April 2016. Factoring in an estimated 8 to 9 month installation timeline, TBK expects the facility to be commercially operational by September 2017. For more information about how your company can participate in this project, please contact Mike Long at POWER Engineers, Inc. via email at Mike.Long@powereng.com or via phone at +1-208-788-0344. The Alto Adige Architectural Foundation acknowledged Enel Green Power’s requalification project for Sasso 2 geothermal plant in Sasso Pisano (Tuscany, Italy). An intervention that “combines the industrial generation of energy with touristic-excursionist and didactic development” and enhances integration with the territory and naturalistic beauty. The Alto Adige Architectural Foundation gave the award to Enel Green Power’s requalification project for the Sasso 2 site, that houses the geothermal plant at Sasso Pisano. A project that is capable of combining architecture and landscape by means of “a quiet strategy that regulates the existing plant and organizes things from the visitors’ viewpoint”, allowing the latter to experience the many facets of geothermal power. Because of climate change, the equation of where Idahoans get their electricity is changing. This shift is related to new federal regulations intended to curb greenhouse gas emissions, experts say, forcing utilities to invest in cleaner energy sources. At the same time, Idaho’s biggest source of zero-emission energy, hydropower, is itself under threat from climate change due to diminished snowpacks and river flows. One energy source that might be especially well-suited to Idaho is geothermal, stored inside the Earth in hot water and rocks. The Idaho National Laboratory is aiming to build a geothermal research facility on its desert site called Frontier Observatory for Research in Geothermal Energy, or FORGE. According to the Idaho’s Office of Energy Resources, the state has an estimated 800 megawatts of geothermal-powered potential. One 13-megawatt facility has been operational since 2008 in southern Idaho. 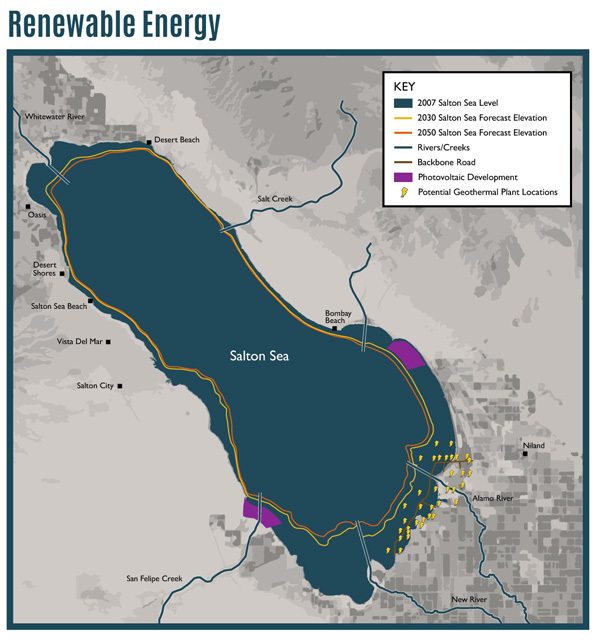 Geothermal energy, solar PV and concentrating solar power have the greatest technical potential for development of renewable resources in the Salton Sea, a saline lake in California's Imperial Valley, according to a recent report from the National Renewable Energy Laboratory (NREL). The State of California Natural Resources Agency funded the report, aimed at examining renewable energy development and restoration strategies for the drought-threatened lake. The area is of particular interest to the geothermal industry, and the report estimates the Salton Sea to have more than 1,800 MW of geothermal potential. The report follows after Gov. Jerry Brown (D) signed a bill in October supporting the restoration of the Salton Sea, with the Natural Resources Agency required to submit a list of "shovel-ready" restoration projects on or before March 31, 2016. The Imperial Valley’s location can offer baseload geothermal generation to Pacific Gas and Electric, Southern California Edison, San Diego Gas and Electric, Arizona Public Service, Tucson Electric Power, NV Energy, Los Angeles Department of Water and Power, and the Imperial Irrigation District, according to the report. 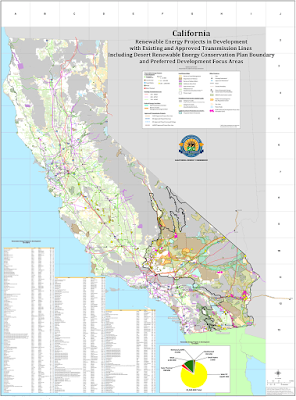 The California Energy Commission has posted two new maps to its website including one that shows Renewable Energy Projects in Development. One map depicts the approximate locations of renewable generation projects 1 MW and above throughout California that are either under permitting review or in various stages of construction. The map also includes existing and approved transmission lines greater than 110 kV. Other features include the Desert Renewable Energy Conservation Plan boundary, BLM Preferred Development Focus Areas, land ownerships, and protected lands where development is prohibited, restricted or limited. The U.S. Geothermal Energy Association (GEA) will be holding a U.S. and International Geothermal Energy Showcase on March 17, 2016 at the Ronald Reagan Building and International Trade Center in Washington, DC. The 2016 U.S. and International Geothermal Energy Showcase will feature industry and governmental leaders from across the geothermal marketplace. The last GEA U.S. & International Geothermal Energy Showcase held in 2014 involved more than 250 industry leaders, government officials, and other power sector representatives from the U.S. and 26 countries around the world. Confirmed and invited speakers include representatives from the United States Congress, IRENA, U.S. Department of Energy, Ormat, Enel Green Power, ElectraTherm, U.S. Geothermal, Alstom, Power Engineers/Galena Advisors, CPI, CalEnergy, Nordic Development Fund, World Bank, Citigroup, IADB, EBRD, AfDB, EDC, Dewhurst Group, Standard Bank, Thermochem, Reykjavik Geothermal, AltaRockEnergy, Indonesia Ministry of New and Renewable Energy, CFE, PT Pertamina, and more. The Powering Africa: Summit (PAS) is a platform to showcase power, trade and infrastructure investment opportunities across the African continent, engaging decision makers from the American and African public and private sectors to explore how project bankability can be increased. President Obama’s Power Africa initiative has helped map the way for project investment, giving a platform to global investment funds and showcasing the role they can play in driving forward the development of Africa’s power sector. PAS 2016 will build on this progress in Washington, D.C. next month. The European Geothermal Innovation Award is given to companies which have made an outstanding contribution towards the field of geothermal energy in the form of innovative products, scientific research or project initiatives, announced the European Geothermal Energy Council (EGEC). A jury of five assesses submissions on grounds of originality, innovation, reliability, reduction of emissions and improvements in energy output. Endorsed nominations and the award winner will be recognized for their outstanding work and impact on a growing and dynamic industry. The award will be an opportunity for industry peers to acknowledge excellence, and for the most exciting ideas to be widely publicized. Turboden has contracted Mannvit for the basic and detailed engineering of the resource gathering and injection system of the Velika Ciglena geothermal project. Turkish developer MB Holding will build Croatia’s first geothermal power plant, using a 16.5 MW ORC solution from Turboden. Mannvit’s Hungarian office will act as a subcontractor of Turboden in the project, which will be the first geothermal power plant operating in the Central Eastern Europe region. The power plant will harness the geothermal energy of the Pannonian basin, widely considered as one of the key geothermal areas in Europe. 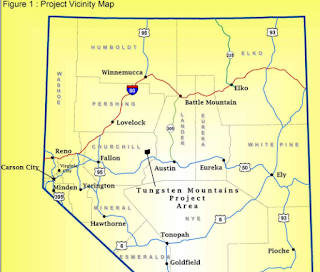 The Bureau of Land Management, Carson City District, Stillwater Field Office, has completed an environmental assessment for the Tungsten Mountain Geothermal Development Project, proposed by Ormat. The project area is in Churchill County, approximately 60 miles east of Fallon. Written comments on the assessment will be accepted until January 21. The BLM is also seeking public input under Section 106 of the National Historic Preservation Act for the project. This includes seeking information and identifying historic properties in or near the Project area. Construct access roads and ancillary facilities. A copy of the EA is available at the Carson City District BLM Office and on the webpage at:http://1.usa.gov/1QWnTTL. Please send written comments to: Jason Wright, Tungsten Mtn. EA Project Lead, Stillwater Field Office, 5665 Morgan Mill Road, Carson City, NV 89701. 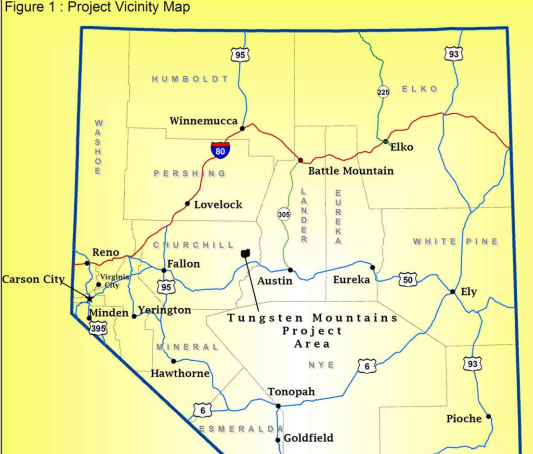 Comments may also be submitted electronically via the EA webpage (under the “Contact Information” section), via email to blm_nv_ccdowebmail@blm.gov or via fax at (775) 885-6147 with the subject heading “Tungsten Mtn. Geothermal Development EA”. Comments, including identifying information, may be publicly available at any time. The Geothermal Risk Mitigation Facility (GRMF) for East Africa has announced the results of the 3rd Application Round (AR) for funding. Of the 18 projects represented in the pre-bidding workshop, 14 applications were submitted for GRMF financial support. These 14 applications (7 Surface Studies and 7 Drilling Programs) were submitted by ten (10) entities (6 public and 4 private) from seven - out of the eleven - GRMF countries (Comoros, Djibouti, Ethiopia, Kenya, Tanzania, Uganda and Rwanda). The cumulative GRMF financial support – including potential continuation premium, for all qualified applications of the 3rd AR amounts to approximately USD 36.7 million. The Board of Australian company Geodynamics has announced that Christopher Murray has been appointed Managing Director & Chief Executive Officer of Geodynamics. Mr Murray will succeed Geoff Ward, will leave Geodynamics on 31 January 2016 following a handover period to the new CEO. The Geodynamics Board expressed its appreciation to Mr Ward for his contribution to the Company over the past 5 years. Mr Keith Spence, the Chairman of Geodynamics, said "Under Geoff's leadership Geodynamics has successfully completed Habanero-4, its most productive geothermal well, in the Cooper Basin project, as well as commissioning and operating the 1 MWe Habanero Pilot Plant, a world leading example of Enhanced Geothermal System power. After our strategic review identifying the need to diversify away from geothermal, Geoff has successfully transformed Geodynamics into a diversified clean-tech company, with a portfolio of projects in the biogas sector through the acquisition of Quantum Power Limited, while maintaining a strong balance sheet and building a very capable organisation." The push to harness geothermal energy could lose steam because of a price standoff between producers and the sole distributor. State-owned electricity monopoly PLN (Persero) and Pertamina Geothermal Energy have reached an impasse in renewing their power purchase deal for electricity from PGE’s Kamojang and Lahendong plants. Combined, the 235 MW Kamojang plant, in West Java, and the 60 MW Lahendong facility, in North Sulawesi, account for a fifth of Indonesia’s current geothermal production, which PGE sells to PLN at 6.2 and 9.7 cents per kilowatt-hour, respectively. That deal, however, expires at the end of this year. In negotiations for a new deal, PLN has offered to buy electricity from Kamojang at 3.3 cents per kWh – less than half of PGE’s asking price of 7.4 cents per kWh. PLN’s offer for power from Lahendong – at 5.8 cents per kWh – is also far below the 10.1 cents per kWh that PGE is seeking. The goals of the conference are to bring together engineers, scientists and managers involved in geothermal reservoir studies and developments; provide a forum for the exchange of ideas on the exploration, development and use of geothermal resources; and to enable prompt and open reporting of progress. We strongly encourage all scientists and engineers involved in geothermal reservoir technology to attend the workshop. Registration before Thursday 31st December 2015 is discounted to $640, normal registration after Thursday 31st December 2015 and before Sunday 14th February 2016 is $690. Late (after Sunday 14th February 2016) or on-site registration will be $790. Student registration is $150, but only until Sunday 14th February 2016. After Sunday 14th February 2016 student registration will be at the full rate of $790. You can also print out the registration page and fax it to Stanford Geothermal Workshop at +1(650)725-2099. Unfortunately we have no financial assistance available. Blocks of rooms have been reserved at both the Sheraton and Stanford's SLAC Guest House. The Sheraton is offering a special rate of $309, when you tell them you are with the Stanford Geothermal Workshop. The SLAC guesthouse is offering a special rate of $151 and you need to mention GEOWORK0216 to get this discounted rate. To obtain the group rate, reservations to the Sheraton need to be made before January 25, 2016. We look forward to seeing you at the conference! View the preliminary workshop program. The Geothermal Exchange Organization (GEO) said that the geothermal heat pump (GHP) industry expressed concern that its heating and cooling technology was excluded from extensions of federal tax credits given the solar industry in Omnibus spending bill passed today by Congress. But the association sees a positive way forward next year [for both geo-exchange and geothermal power]. As final negotiations were taking place, Republicans wanted to end the U.S. ban on crude oil exports and Democrats wanting to extend a Production Tax Credit (PTC) for wind and the Investment Tax Credit (ITC)s and income tax credits for renewables. In their haste to unveil the bill, staffers inadvertently excluded the PTC for geothermal power, and the ITC and income tax credits for GHPs, fuel cells, small wind, microturbines, and combined heat and power. And House Democratic Leader Nancy Pelosi (D-CA) said she has been promised action in early 2016: “We still have some unfinished business there, because the bill, through a drafting error, did not include fuel cells, geothermal, and some other renewables that are part of that tax credit. And we have a commitment that that will happen in an early revue bill after the first of the year,” she told Bloomberg. The Geothermal Exchange Organization, a 501(c)(6) non-profit trade association based in Springfield, Illinois, USA that advocates the environmental, energy efficiency and economic benefits of geothermal heat pump systems for heating and cooling applications in residential, commercial, and institutional buildings in the USA. The Office of Energy Efficiency and Renewable Energy (EERE) Strategic Plan for 2016-2020 provides the necessary framework for responding to the global challenge of climate change and ensuring that the U.S. is a global leader in the clean energy economy. Over the next five years, EERE will make the strategic investments in the innovation and creativity of our nation’s scientists, engineers, entrepreneurs, and industry leaders to fulfill this vision while working to enhance U.S. energy productivity and competitiveness. The result will be energy solutions that make America more prosperous and secure and our energy systems cleaner and more affordable. One of the seven strategic goals is to Increase the Generation of Electric Power from Renewable Resources. By 2020, reduce the modeled cost of geothermal power from currently undiscovered hydrothermal resources to $0.10/kWh. By 2030, reduce the modeled LCOE from newly developed geothermal systems, including EGS, to $0.06/kWh. Energy Development Corp. is preparing the transmission connection on its P7.6-billion, 31 MW Bac-Man 3 geothermal power plant to ensure completion in 2017 in time for the plant’s commercial operations. EDC has sought government approval to develop a dedicated point-to-point limited facility to connect the Bac-Man 3 geothermal power project to the Luzon grid. EDC expects to complete the construction of the connection project by the latter part of the second quarter of 2017. It wants to have the connection project in place and ready for the commissioning of the Bac-Man 3 project around the fourth quarter of 2017. It said the completion of the Bac-Man 3 project within the projected time frame was critical to ensure that additional capacity would be available in the Luzon grid. EDC has already signed a design and equipment supply contract with Hyundai Engineering Co. Ltd. and a construction services contract with Galing Power & Energy Construction Co. Inc. to build the Bac-Man 3 geothermal power plant. The Indonesian government has opened tender processes for the development contracts of geothermal power plants in three provinces. The Energy and Mineral Resources Ministry announced on Friday the geothermal power plant contracts for Way Ratai, Lampung (55 MW); Marana, Central Sulawesi (20 MW) and Gunung Talang Bukit Kili, West Sumatra (20 MW). “The bidding process is expected to be completed in April or May next year,” said Yunus Saifulhak, the director of geothermal energy at the new-renewable energy and energy conservation office. Exploration is estimated to take around five years before construction of the power plants can start. Thus, the three geothermal sites are expected to start producing electricity in 2022. The open bids follow this year’s two previous bids for a Danau Ranau project in South Sulawesi and a Gunung Lawu project in East Java. An open tender for Danau Ranau needs to be re-launched as only one proposal was received for it. Under the new tender, the Danau Ranau geothermal plant’s capacity estimation has been lowered to 40 MW from 110 MW due to different temperature calculation, according to Yunus. Meanwhile, the tender for the Gunung Lawu plant has entered its second stage with three companies in the running. The Roane County native is one of four leaders profiled in West Virginia Public Broadcasting’s 2015 Inspiring West Virginians radio documentary, airing Dec. 28 at 8pm. Anderson points out that West Virginia is a regional hotspot when it comes to geothermal resources. 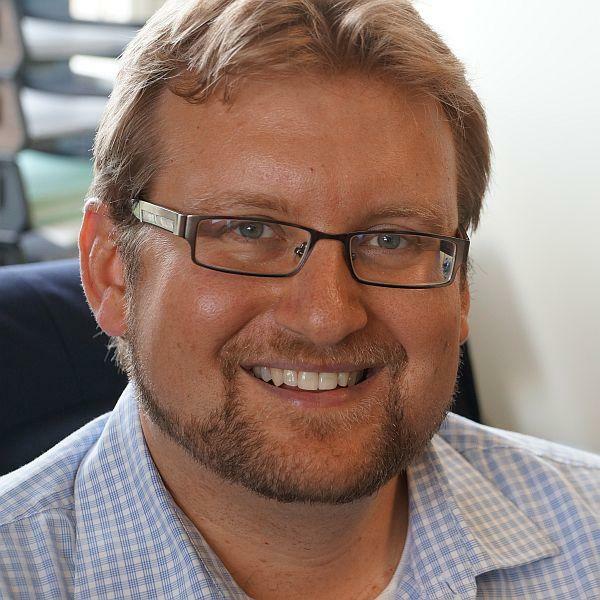 “It’s not the most economical here, but that’s where we come in,” said the 2013 recipient of the President’s Early Career Award for Scientists and Engineers – the highest honor young science and engineering researchers can receive from the US Government. Hungarian Geothermal energy company PannErgy is discontinuing its geothermal project at Gödöllő, near the capital, after reassessing implementation risks, the company said in a statement published on the Budapest Stock Exchange (BSE) on Friday, Hungarian news agency MTI reported. The company noted risks arising from emerging commercial and business uncertainties, the possible lack of appropriate sized heat off-taking partners, the low off-take and commercial heat price – as well as extensive availability (to competitors) of non-refundable European Union grants. Wishing you joy, happiness, and a prosperous new year! 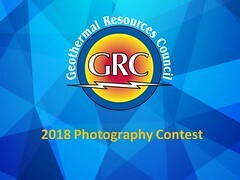 Global Geothermal News is the award-winning news website from the Geothermal Resources Council a trusted source for information. Get a summary of the very latest geothermal energy news from around the world delivered by email every day. Subscribe now! The December issue of the EGEC Newsletter is now available. Click here to download it. GeoTHERM in Offenburg: Reduced fee for EGEC members available! FROnT: Fair Renewable Heating and Cooling Options and Trade. Science & Technology: Underground Heat Islands in Cities Have Enormous Geothermal Potential. Underground heat islands in cities have an enormous geothermal potential. Warm groundwater can be used to produce sustainable energy for heating and cooling. Researchers have now developed a new method to find underground heat islands: They estimate groundwater temperature from surface temperatures and building densities measured by satellites. A group of scientists of the Institute of Applied Geosciences (AGW) and the Institute of Meteorology and Climate Research -- Atmospheric Trace Gases and Remote Sensing Division (IMK-ASF) of Karlsruhe Institute of Technology (KIT) as well as of ETH Zurich recently analyzed above-ground and underground heat islands in four big cities in Germany in relation to each other. The results are reported in the journal Environmental Science & Technology. "This method can be applied for a first assessment of underground heat islands and, hence, of ecological conditions in the groundwater and of the geothermal potential. No complex groundwater temperature measurements and interpolations are required," Philipp Blum, Professor for Engineering Geology of AGW, KIT, explains. Recent snowfall has put the city of Klamath Falls’ snow melt systems, generated by geothermal wells, to work. Randy Travis, manager of the city’s geothermal and water division, said he and staff have been “pleasantly surprised” by what are known to city staff as snow events in recent days, but also pleasantly prepared for the impact. Travis monitored areas of town on Thursday where the city’s geothermal snow melt system is in place, such as the incline near Klamath Union High School near Crater Lake Parkway and Esplanade Avenue. “Having the ability to melt snow and ice off of that incline up to the school or up to Crater Lake Parkway prevents traffic ‘snarls’ and traffic accidents,” Travis said. The snow melt system covers 165,000 square feet of sidewalks throughout the city, many which are located downtown and in the Pacific Terrace area. The system also covers 400,000 square feet of government and commercial buildings. 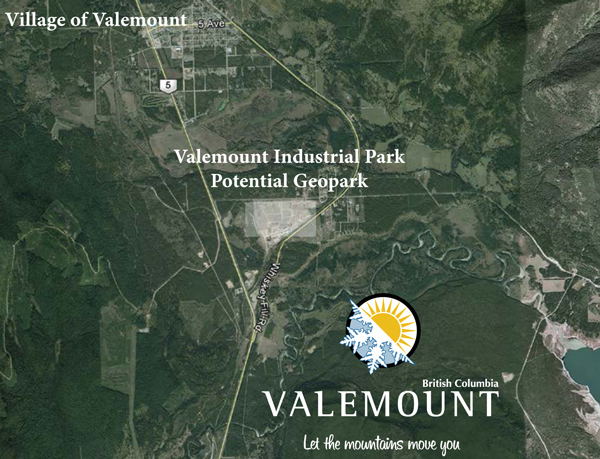 Two production geothermal wells measuring 210 to 220 degrees Fahrenheit fuel the citys’ geothermal resource. President Obama is expected to sign the bill into law today. The biggest federal policy development of the year for renewables plays out on Congress’ last day of work in 2015. Lawmakers in the House and Senate passed a spending package today that includes multi-year extensions of solar and wind tax credits, plus one-year extensions for a range of other renewable energy technologies. The pair of bills, which included tax extenders and $1.1 trillion in funding to keep the government running for the next year, passed hours before lawmakers adjourned for the holidays. Also included were geothermal, landfill gas, marine energy and incremental hydro, which will get a one-year PTC extension. Those technologies will also qualify for a 30 percent ITC, if developers choose. In addition, the bill expanded grants for energy and water efficiency. A handful of residents attended a Puna Geothermal Venture community meeting in Pahoa Wednesday night. The year-end update from the Pohoiki-based power producer was led by Ormat’s head of Hawaii Affairs, Mike Kaleikini, a GRC Member. The small crowd was equal parts supporters (some were employees of PGV) and detractors of the geothermal energy company. Kaleikini says the company is very pleased with the production on the newest well, and that while there are no plans to drill more wells, there are plans to do improvements on existing wells. The goal is to meet the 38 megawatts that they have agreed to produce under contract with the Hawaii Electric Light Company. Basic Energy Corp. (BEC) has approved in principle a partnership with Desco Inc. for the development of its Iriga geothermal service contract. In a disclosure to the Philippine Stock Exchange, BEC said its board of directors had agreed that Desco would be taking up an 80-percent stake in the project. For and on behalf of the consortium, Desco will undertake a geophysical survey and all other steps required to bring the project to the drilling stage. The Iriga geothermal service contract is in the pre-development stage. It is part of plans to develop more fields for electricity production and make use of geothermal water. The Iriga, Camarines Sur geothermal area is bounded in the north by the Isarog geothermal block of PNOC-Renewables Corp., a unit of state firm Philippine National Oil Co., and to the east by the highly productive Tiwi Geothermal Service Contract of AP Renewables, Inc. (formerly Chevron). The areal landscape is dominated by Mount Asog, which is immediately southwest of Lake Buhi in Southern Luzon. One little noticed side result of the recent Paris Conference was the launch of the Global Geothermal Alliance. The goal of the group is to promulgate a six fold increase in geothermal electricity production by 2030 along with a tripling of geothermal derived heating. The group says that although geothermal power today provides around 12 gigawatts of electricity annually with production growing at 3-4 percent per year, this is a fraction of the potential total productive capacity. A commitment by the world to geothermal energy illustrates the all-important willingness to look at every form of power generation big and small for the future. Some power sources simply make more sense in some areas than others. Geothermal energy makes a lot of sense in Indonesia and Iceland, but less sense in, say, Arizona. Conversely solar power makes sense in Arizona, but not in Iceland. Thus the hallmark of success in green energy is not a dogmatic belief in a certain source of energy production, but rather the willingness to work with whatever energy production source makes the most sense in a given region. And geothermal energy should certainly be a piece of that puzzle. The government of Dominica is ready to resume work on a geothermal project that was put on hold in the wake of Tropical Storm Erika, which killed 31 people and caused up to $200 million in damage, an official confirmed on Thursday. The $80 million energy initiative was delayed because the government had to concentrate on finding housing for those displaced by the storm, Energy Minister Ian Douglas said. “We concluded the discovery and testing phases and we are moving into the generation stage: what type of plant do we need, what types of turbines do we need to install, how much power can we actually put onto the grid,” Douglas said. Kenya Electricity Generating Co. (KenGen) will issue tenders for the construction of two new geothermal plants in Olkaria in February, setting the stage for the injection of an additional 210 MW of power into the grid by 2018. KenGen managing director Albert Mugo said on the sidelines of the firm’s annual general meeting on Wednesday that the 140 MW Olkaria V and 70 MW Olkaria I unit VI will take two years to complete with the ground breaking set for June next year. Deep geothermal energy holds no uncontrollable risks for the environment in Germany. These are the findings of a study done by the Federal Institute for Geosciences and Natural Resources (BGR) on the basis of an administrative agreement with the German Environment Agency (UBA-Umwelt Bundesamt). Deep geothermal energy originates from depths of 2,000 meters and more, where temperatures are higher than 60 degrees Celsius. In order to use this geothermal heat it is sometimes necessary to inject water at high pressure into those deep rock layers. This creates flow paths for the subsequent water circulation at the geothermal power plant. The method does not apply any materials which jeopardize the groundwater. The only exception is limestone, where diluted acids are sometimes applied, albeit in an environmentally compatible way. There is no risk from seismic activity in controlled processes. Hot springs or not? That was the question the Nazko First Nation posed as they looked to power their future without diesel generators. 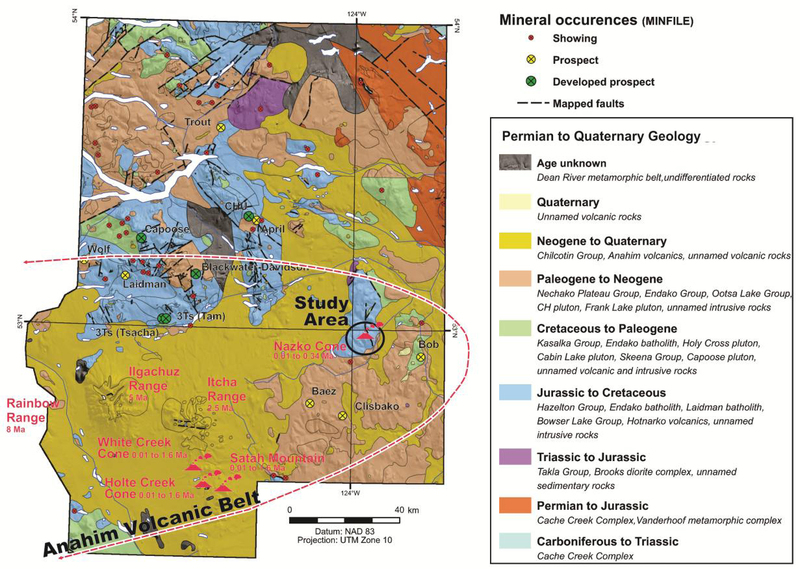 Researchers Ray Lett and Wayne Jackaman answered them by studying a wetland area 10km from the community where unusual minerals and gas seepages were identified in 2012. The two wetlands they studied, near the Nazko volcanic area, west of Quesnel in central British Columbia, are informally named the North and South bogs. Both have deposits of travertine, a white calcium carbonate mineral known to form at hot springs, and carbon dioxide-rich gas seepages, known indicators of geothermal activity. 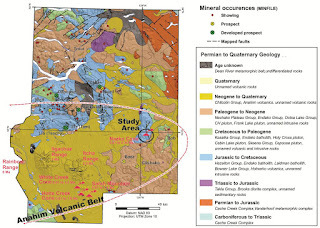 In a two-year study, supported by Geoscience BC as part of the major TREK (Targeting Resources for Exploration and Knowledge) program, the pair collected samples of soil, water, travertine, bedrock, vegetation and carbon dioxide-rich seepage gas from the Nazko bogs and surrounding area and tested their geochemistry, searching for geothermal indicator elements. Although the geothermal signs at the surface are subtle, and there are no visible hot springs today, the chemistry of the soil, water and rock samples suggest that the current heat source is very deep. The temperature of the water that formed the minerals seen at the surface today were probably warmer in the past and perhaps mixed with cooler groundwater on their way up to the surface. The city is aiming to use 100 percent renewable energy by 2035. The city is less than 100 miles from the rich geothermal resources around the Salton Sea. San Diego's city council unanimously voted Tuesday to adopt a plan to power the city entirely with renewable energy by 2035, joining cities like San Francisco, Paris and Vancouver, Canada, in setting ambitious targets for reducing greenhouse gas emissions over the next several decades. The cities population is over 1,400,000. Spearheaded by Republican Mayor Kevin Faulconer, who took office last year, San Diego's Climate Action Plan puts the city on track to halve its greenhouse gas emissions by 2035. The city is the largest in the U.S. to adopt a 100 percent renewable energy plan. The blueprint also goes beyond California's statewide goal of 50 percent clean energy in the next 15 years. Attempt to reach earthquake source fell short but yielded surprisingly hot rocks. A failed effort to drill through a dangerous fault in New Zealand has served up unexpected scientific results that could help researchers to better understand how earthquakes happen. The project measured temperatures in excess of 100ºC at just 830 meters below the surface — an exceptionally high value at such a shallow depth. GNS Science leads the Deep Fault Drilling Project that sought to drill through the Alpine Fault on New Zealand's South Island. After drilling ended and conditions in the hole reached equilibrium, the cable recorded temperatures of more than 110°C at a depth of 830 meters. The typical geothermal gradient increases at a rate of just 30°C per kilometer below ground, and a shallow borehole that the team drilled nearby in 2011 had a gradient of twice that. The gradient in the new hole reached as high as 150°C per kilometer, the researchers reported. “It has this very high geothermal gradient, and it’s very intriguing on that account,” says Diane Moore, a geologist with the United States Geological Survey in Menlo Park, California. Despite the problems with the Alpine Fault project, she says, “it’s a very impressive body of work that they’re getting out of it”. A separate tax extenders bill (available here) negotiated in parallel with the omnibus appropriations bill includes a straight 2-year extension with no phase downs for other renewable energy facilities eligible for the section 45 credit including geothermal, biomass, landfill gas and certain qualified hydropower and marine hydrokinetic energy projects. The tax extenders bill also extends bonus depreciation for 5 years at 50% for the first 3 years and phased down to 40% in 2018 and 30% in 2019. The House and Senate will vote on the tax extenders bill today followed by the omnibus bill on Friday before Congress adjourns for the holidays. Kenya Electricity Generating company (Kengen) wants to sell power directly to large consumers to increase its revenue, managing director Albert Mugo told shareholders yesterday. Mugo said the plan is however subject to the passing of the Energy Bill which will eliminate Kenya Power's monopoly as the sole distributor of power in the country. Mugo said selling power directly to companies located near power plants is a practical way of increasing KenGen's margins.Under the existing law only Kenya Power has the mandate to distribute electricity and all producers are required to sell their power to the utility firm for redistribution to users. When it comes to tapping into deep geothermal resources, the cost of drilling can make up around 60-70% of the total project costs, and can thus influence the overall success of a geothermal project. As a result, the industry has become more open to new technology, which might help reduce these costs. The Drilling techniques in the geothermal field include over-balanced, hammer and under-balanced drilling, among others.“The most common method is rotary drilling by direct circulation of water-based drilling mud or water in the production part. Other frequently used methods are the aerated drilling ones. Reasons for introducing air into the drilling fluid might be highly permeable formations causing loss of circulation or to minimize formation damage to enhance possible productivity of the wells,” explain Kristinn Ingason and Thoroddur Sigurdsson from the geothermal drilling department of Mannvit, an Iceland-based engineering consulting firm. The top sections (for surface casings) of geothermal wells may also be drilled by percussion methods, such as the air-hammer method with air and foam, especially in hard-rock formations.” The requirements of the geothermal and O&G industries are practically the same. Both industries face the same challenges and have the same end goals: drilling a well into rock to a specific depth in order to reach a reservoir." The entire article from GDI can be found here. Abu Bakr Ibrahim, Chairman of Ganope, told Egypt Oil & Gas that a memorandum of understanding (MoU) has been signed by Ganope, as a representative of Petroleum Ministry and New and Renewal Energy Authority (NREA) for the exploitation of the earth’s natural underground temperature for the production of renewable energy. Currently an economic study is being conducted on Ayoun Moussa near the port of Suez, and Pharoah's Bath/Sulphur Springs to determine the viability of generating electricity from the area. Ganoub El-Wadi Petroleum Holding Company (Ganope) is one of five main entities of Petroleum Ministry. 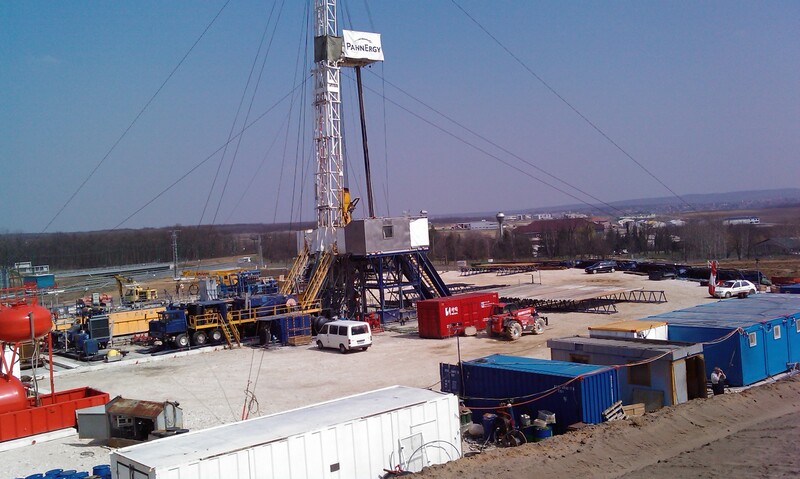 Company Man/Drilling Supervisor for the production drilling period 2016 – 2017 timeframe. The Company Man will be in charge of the drilling over 10 Geothermal Wells; development of the Power Plant will continue in parallel. The candidate should have at least 10 years of experience as a drilling company man/ supervisor dealing with geothermal wells with high enthalpy. Project Manager (PM) for the construction period 2016 – 2017 timeframe. The PM will be in charge of the construction of 2 time 35 MWe single flash units plant, a steam gathering system and interconnection facilities. Development of the geothermal field will continue in parallel. Qualified interested candidates should respond by sending their Cover Letter and CV’s as well as expected monthly salary requirements in USD plus all expected applicable costs to Lena.Ngure@Akiiraone.com with Subject Line: AGL POWER PLANT PM ROLE or AGL COMPANY MAN ROLE by 7th January 2016.